You will find so many fun things to do in Monterey with kids when you visit there. I've put together my list of the top 20 includes ideas that your entire family will enjoy. Top picks include the Monterey Bay Aquarium, hiking, and the whale watching. You can also head to the beach, check out some kid-friendly museums, and cruise along the famous 17-Mile Drive. My top recommendation on my list of things to do in Monterey with kids is to head over to the Monterey Bay Aquarium. 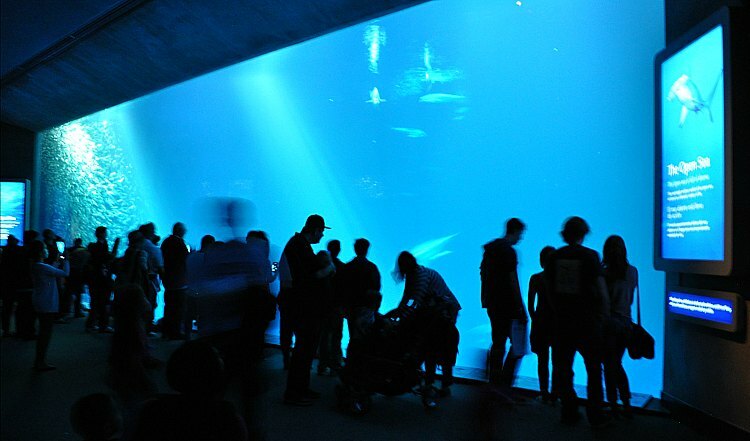 This amazing attraction is one of the top-rated aquariums in the world. Spend time watching the fish swim around in the huge Open Sea aquarium. Your entire family will also love the Kelp Forest. In addition to the exhibits, the museum also offers a variety of activities. Some of these include crossword puzzles, animal bingo, and animal fact cards & games. This cute playground at Pearl Street and Camino El Estero in Monterey was designed by the creator of Dennis the Menace. You will find plenty to do in the park including great playground equipment, a suspension bridge, and ladders for kids to climb on. There is also a lake and walking paths, which are all part of the larger El Estero Park. It will entertain your kids for a couple of hours. During high season, there is also a snack bar and paddle boat rentals. There is also a McDonalds within walking distance. The playground and park are open year around and free to enter. Point Sur State Lighthouse is another fun thing to do in Monterey with kids. This historic gem opened on August 1, 1889. Since that time, it has saved many boats and ships from accidently running ashore around the Point Sur area. All visitors must sign up for a tour in order to step inside. Their 3-hour guided tours will tell you all about the history of the lighthouse as well as a look inside. The tours cover less than a mile in distance (some of the tour is outside) and includes a few staircases with about 61 steps. The tours are offered three times a week in the winter and four times a week in the summer. They also offer some special tours such as their popular Moonlight, Halloween and Ghost tours several times each year. Head into Monterey's Mirror Maze and work as a team to get through the challenge. With heart pumping music and high-tech lighting, this is one of the best things to do in Monterey with kids. The Mirror Maze is tricky and fun all at the same time. You will see infinite reflections of yourself throughout the maze which makes it more difficult to find the route to the end. You'll run into dead ends, walk in continuous circles, and get stuck in corners as you navigate your way through it. It's fun, entertaining, and a different experience each time through. The Monterey Zoo is another one of the family-friendly things to do in Monterey. 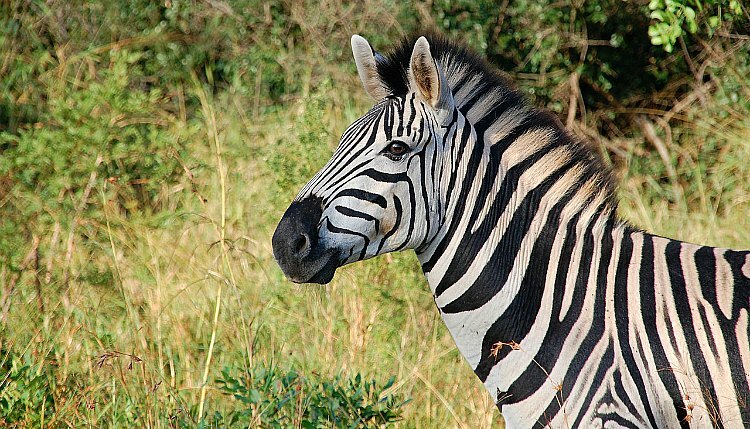 This 51-acre ranch is home to more than 100 exotic animals. During your visit, you will encounter a numerous types of lions, tigers and leopards. They also have a black bear, a few elephants, and some zebras. Make sure to also check out the primate area during your visit which is home to lemurs, a Capuchin monkey, and baboons. In addition to visiting the animals, the Monterey Zoo also offers several educational programs, a safari camp and an overnight program. You will find the zoo at 400 River Road in Salinas. Just off the coast of Monterey, you will get the chance to see a variety of whales throughout the year. It's a popular migration path for several species of whales and many spend a little time here refueling for their long journey. In the winter, you will mostly find gray whales in the waters of the shore. Other whales that migrate through here include blue, orca, humpback, and sperm. Sometimes you might see a whale from the shore, but for a better chance to see them, I highly recommend heading out on a whale watching cruise. On these cruises, you will also get the chance to see other wildlife including dolphins, sea turtles, sea lions, and birds. Click the links below for more details and tickets for each season. Spend some time with the family at Highway 1 Golf Course at 751 Cannery Row. This isn't your typically mini-golf experience. Highway 1 has turned their course into a Glow in the Dark adventure with music and cool murals. You enter their themed course by walking through a redwood tree. You will then try your hand at mini-golf locations on their course along Highway 1 including San Francisco, Santa Cruz, Big Sur, LA and more. When you are done golfing, stop by their arcade to play some video games. Their game room also includes other games such as Skee Ball, Ticket Monster, and Polar Igloo. The MY Museum (Monterey County Youth Museum) is a wonderful place for kids and the entire family. This hands-on, interactive museum includes more than a dozen exhibits and activities. Most of them are geared toward those in the 4 to 9-year-old-range, but you will also find plenty of things to do for kids of all ages. As a family, you can also participate as your children learn. Some of the most popular picks include "My Day at the Beach," "My Healthy Farm," and "MY ImagiTree." They also host several events throughout the year. This museum is located at 425 Washington Street. The Asilomar State Beach is a one-mile strip of beach near Pacific Grove. With its gorgeous views, it's a fun place to spend a few hours with the family. The water off the shore is a bit rocky with some rip-tides, so I don't recommend swimming in those rockier areas. However, the beach is clean and pristine. You will also find a nice, wooded, and handicap accessible walkway along the beach. Don't forget your camera as you will find many picture-perfect moments during your stop. You will find the beach at 800 Asilomar Blvd. 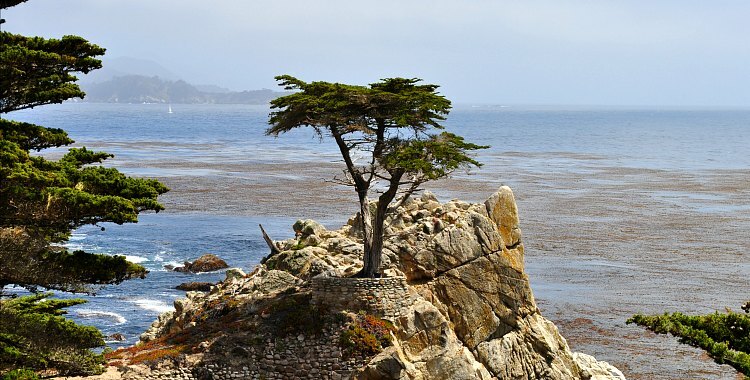 Another one of the fun things to do in Monterey with kids is to check out the attractions along 17-Mile Drive. This gorgeous ride takes you through the unincorporated area called Pebble Beach (famous for their golf courses). It costs just over $10 to enter, but the fee is per car, so you can bring in as many people as can fit in your one. There are five gates that will get you into the 17-Mile Drive. I prefer entering through the Pacific Grove Gate and driving all the way south to exit near Carmel-by-the-Sea. Some of the best stops on this drive include the Lone Cyprus, Pescadero Point, and China Rock Vista Point. You will find plenty of hiking around the Monterey Bay for the entire family. These are just a few of my favorites. Point Lobos State Reserve: My absolute favorite place to hike with kids is at Point Lobos State Reserve. This park and nature preserve offers you the chance to get in a little hike while you also encounter a variety of wildlife. It also offers some amazing views of the water as well as a couple of small beaches. You will find it at 62 CA-1, Carmel-By-The-Sea. Monterey Coastal Trail: This flat trail runs from Lovers Point Park in Pacific Grove all the way to Castroville. The trail between Pacific Grove and Monterey runs either along the shoreline or just a few blocks away. This 18-mile trail then heads inland on its way to Castroville. You can pick it up at several locations around the Monterey Bay. Toro County Park: Just a few minutes away from Monterey, you will find the Toro County Park. It's a great place to take the kids as it has more than 20 miles of trails. You will find options for easy hikes as well as some that are a bit more challenging. You will Toro County Park at 501 Monterey-Salinas Highway 68 in Salinas. The Monarch Butterfly Sanctuary is a gem for families in Pacific Grove. Located near the water, this sanctuary attracts thousands of monarch butterflies during mating season. The best time to see them is from October to February. You will find most of them out during the day when it's a bit warmer. I recommend visiting between 12 noon and 3pm, which is also when the sanctuary has docents on hand to answer any of your questions. The Monarch Butterfly Sanctuary is at 250 Ridge Rd in Pacific Grove. You will find plenty of family-friendly festivals and events all year long in Monterey. Many offer kids' activities or special areas with fun things for them to do. You will also find some carnivals, food festivals, and other family fun. Click the links below for details for each month of the year. Another fun thing to do in Monterey with kids is to head south to Big Sur. The Highway 1 drive through Big Sur is like no other with sweeping vistas and gorgeous views, this drive is sure to please everyone in the family. One of the highlights here is the Bixby Bridge, which offers a heart pounding drive over a valley. You can also hop out of the car at several stops to soak in the views, do a little hiking, or relax for a while on the beach. 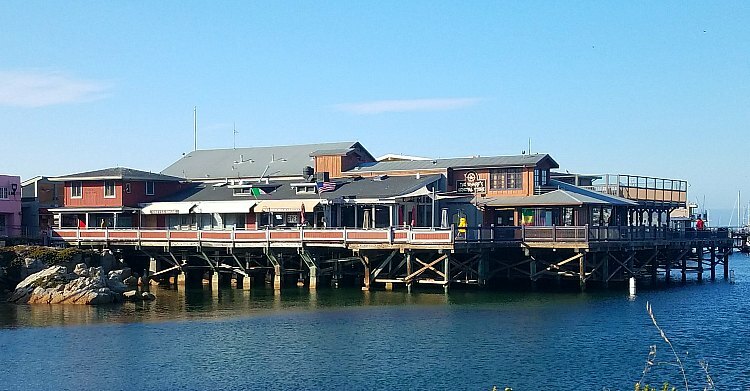 Old Fisherman's Wharf is a historic pier over the waters of the Monterey Bay. You can sample handmade sugar treats, enjoy fresh seafood, or pick up a few souvenirs for yourself or friends. The views from here are amazing too. You can watch the sea otters, seals, and other wildlife in their natural habitat. If you are lucky, you might even get a glimpse of a whale or some dolphins as they pass through the area. I typically spend about an hour or two strolling around Fisherman's Wharf whenever I come to Monterey Bay. One of the newer things to do in Monterey with kids is the Play Palace. This is the perfect pick on a cool and rainy day in the bay area. This newly opened indoor gem is located inside, so even if it is wet outside, you and your kids can still have a great time. It has playground equipment and plenty of activities for them to enjoy. It is designed for your little ones that are between 6 months and 8 years old. You will find it next to Candy World in the American Tin Cannery Outlets at 125 Ocean View Boulevard in Pacific Grove. Lovers Point Park is another great beach on the southern end of the Monterey Bay in Pacific Grove. This small park has some great views of the water. It's great for the family as there are a lot of benches, picnic tables, and BBQs. There is also plenty of space to hang out on the beach. It's a great place to spend some time with your family while in the Monterey area. The National Steinbeck Center Museum is another great find in Salinas. This museum is dedicated to the author John Steinbeck, who was a famous American author, and was born in Salinas in 1902. This permanent exhibit is a walk through his life. It offers displays about his writings as well as details about the places he visited throughout his life. The exhibits are mostly theatrical sets and displays, which allow visitors to step back in time and relive Steinbeck's experiences. The museum is open year around except Thanksgiving, Christmas, and New Year's. You will find it at 1 Main Street in Salinas. The Pacific Grove Museum of Natural History is another fun thing to do in Monterey with kids. Inside this museum, you and your family will get the chance to enjoy the wildlife and culture that make this area unique. Top exhibits inside the museum include Birds of Monterey, which is home to about 300 different bird species; the Monarch Gallery, which offers details on their life as well as some hands-on activities; and the Geology exhibit which includes information on the region's geology as well as a 2400 lb. Jade boulder. If you want to relax a bit while the kids play in the sand, you will find a variety of beach along the Monterey Bay. Del Monte Beach is one of my favorites as it's a long flat beach and is often not too crowded. You can also spend some time in McAbee Beach, which is just steps from Cannery Row. You will find it by walking through the Steinbeck Plaza toward the waterfront. I also like spending time at San Carlos Beach Park. It has gorgeous views and is right between Cannery Row and Fisherman's Wharf. The weather is often cool here but relaxing on the beach is a favorite past time for locals and visitors. These are all great beaches to hang out at when you visit Monterey with kids.